The seven men should be given a chance to make an “informed decision” about their return in the current conditions, or seek safe asylum, rather than be 'prematurely returned', say UNHCR officials. New Delhi: The Supreme Court on Thursday refused to interfere in the deportation of seven male Rohingya refugees to Myanmar. A plea had been filed in the court yesterday asking for urgent interference in the matter. The Centre told the Supreme Court that Myanmar has accepted the Rohingya as their citizens and has agreed to take them back. The UN High Commissioner for Refugees office in India said on Wednesday that seven Rohingya men being taken from the Silchar central jail in Assam to their home village in central Rakhine in Myanmar are “at risk of being prematurely returned” and should be given a chance to make an “informed decision” about their return in the current conditions, or seek safe asylum. The UNHCR was responding to reports that the police had escorted the men to the border between Myanmar and India at Moreh to hand them over to the Myanmar authorities. The Indian government’s proposed action comes a day after United Nations Secretary General Antonio Guterres called upon India to pressurise Myanmar into creating an environment conducive for Rohingya refugees to return safely. In addition, the special rapporteur on racism at the Office of the High Commissioner for Human Rights (OHCHR) has raised an alarm over the move that could be seen as potential refoulement – the deliberate return of refugees to a place where they face persecution and violence. The seven men in question were arrested and imprisoned in the Silchar central jail in Assam in 2012 on charges of illegal entering India. “The Indian government has an international legal obligation to fully acknowledge the institutionalised discrimination, persecution, hate and gross human rights violations these people have faced in their country of origin and provide them the necessary protection,” said UN special rapporteur on racism, Tendai Achiume. Officially, India hosts 18,000 Rohingya refugees recognised by the UNHCR. The special rapporteur has argued that India has an obligation to refer these seven men, and others who may be in detention, to the agency before deporting them. At a town-hall with students, journalists and civil society on Gandhi Jayanti, Guterres said he had never seen a humanitarian crisis as grave as the one facing the Rohingya in recent history, and made an impassioned plea for India to support Bangladesh in its humanitarian efforts for Rohingya people. “I have never seen a community so discriminated in the world as the Rohingyas. They couldn’t even move within Rakhine state, they couldn’t marry without permission, and their children could not go to good schools or colleges. And then there was the violence against them: homes burnt, women raped, villages destroyed, “ said Guterres. In spite of not being a signatory to the 1951 UN Convention on refugees, India has time and again opened its borders and welcomed waves of refugees fleeing political and religious persecution or violent armed conflict from Tibet, Bangladesh, Afghanistan and Sri Lanka. However, the Rohingya have not been met with a similar kindness and generosity of spirit. Pandering to domestic politics and an increasingly polarised public, several members of the ruling Bharatiya Janata Party have used the spectre of a looming terrorist threat to deny asylum to the approximately 40,000-odd, predominantly Muslim, Bengali speaking Rohingya who fled the Myanmar Army’s brutality in the Rakhine state in 2017 and made it across Inda’s borders. Nearly 1 million Rohingya have fled genocidal violence and persecution in Myanmar since 2012. 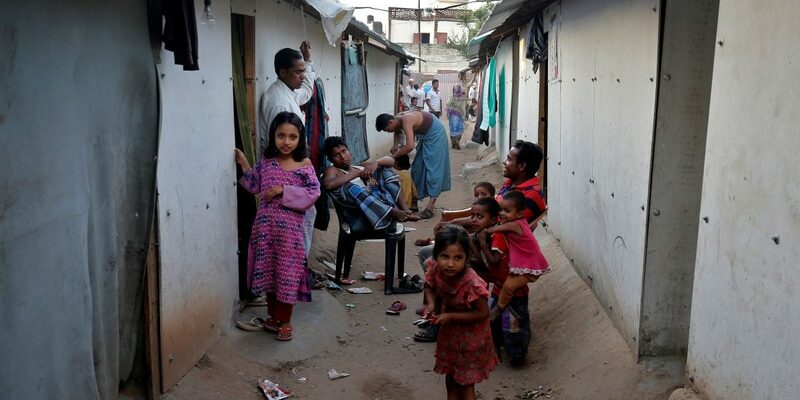 Over 900,000 of them live as refugees in Bangladesh.